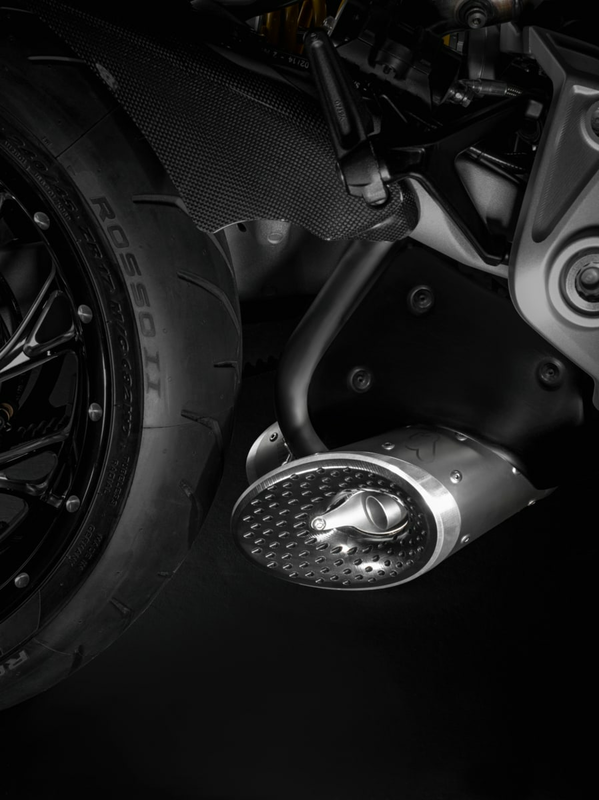 New geometry of the system, with one outlet on the right and one on the left, for a never before seen aesthetic and allowing the roar of the XDiavel to be fully unleashed. Thanks to the dedicated mapping, delivery is improved and all of the power and torque is released. Manufactured by Termignoni.